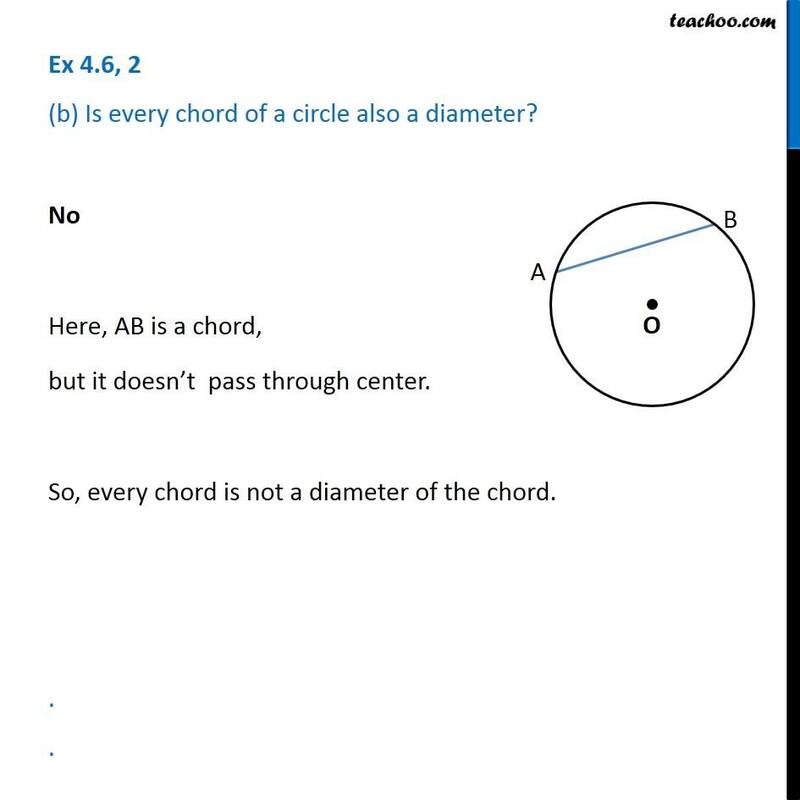 Ex 4.6, 2 - (a) Is every diameter of a circle also a chord? Ex 4.6, 2 (a) Is every diameter of a circle also a chord? . . 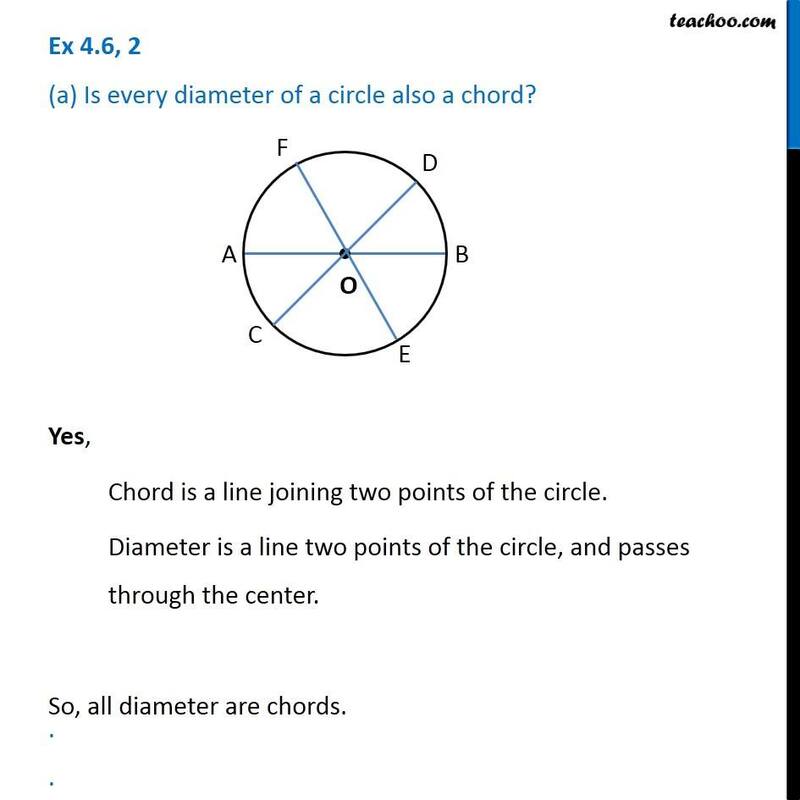 Yes, Chord is a line joining two points of the circle. Diameter is a line two points of the circle, and passes through the center. So, all diameter are chords. Ex 4.6, 2 (b) Is every chord of a circle also a diameter? . . No Here, AB is a chord, but it doesn’t pass through center. So, every chord is not a diameter of the chord.